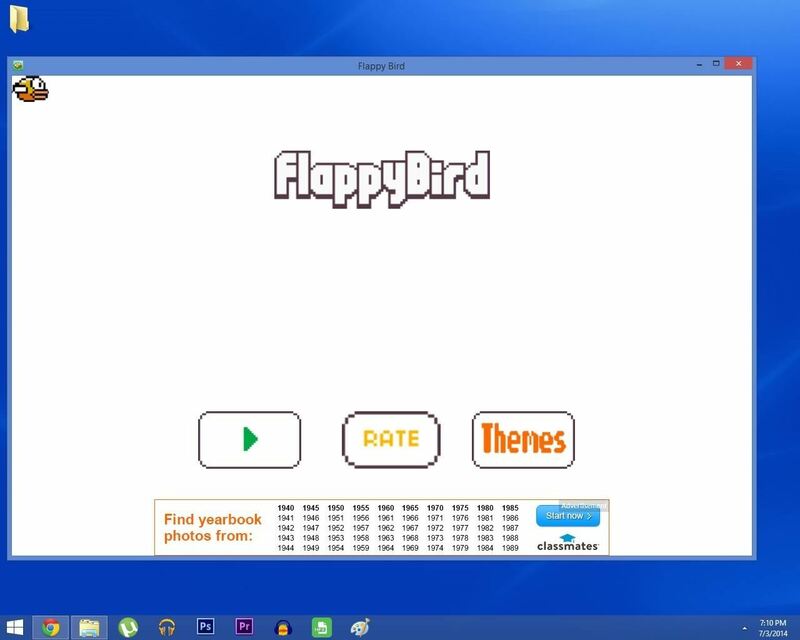 But many of the Metro-style apps and games on the Windows Store play rather nicely with a mouse/keyboard setup. Unfortunately, accessing these apps means using the touch-optimized Start menu, and getting back out of them can be a pain without touch input. While Microsoft claims to be remedying this exchange with new desktop-optimization features in its upcoming Windows release, we don't have to wait on them to get these features now. 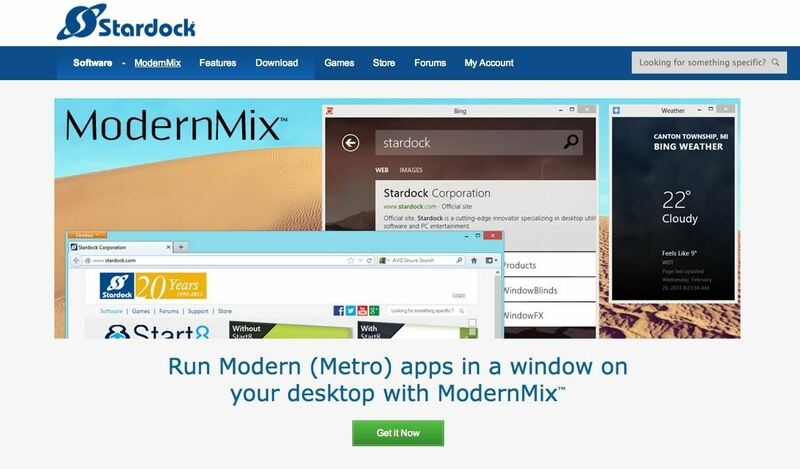 The team at StarDock has created a program that will allow you to run Metro apps in windowed-mode, right on your Windows 8 desktop. 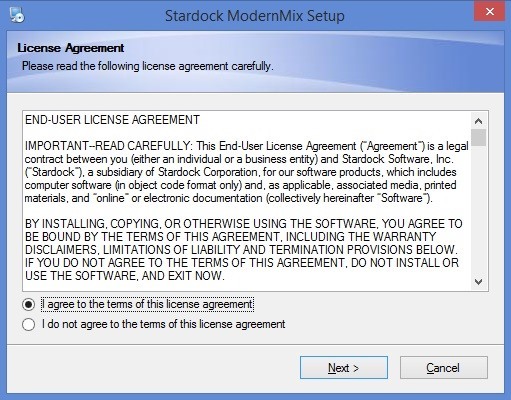 ModernMix is the free trialware behind this mod, and it's available on StarDock's official site. Just head to this link to jump right to the download page. Be sure to choose the Try it Free! option when downloading to get a copy of the 30-day free trial. When the download is finished, just click the file in your web browser to launch the installer. 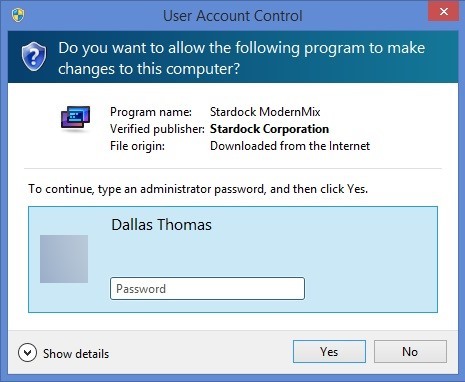 If your account is not the primary one on this machine, you may be asked to put in an administrator password at this point. Next, just accept the terms and conditions and follow the prompts for installation. You'll be asked to provide an email address. This is the contact info that will be attached to your free 30-day trial period. Enter a valid email, then check your inbox and click the validation link before proceeding. 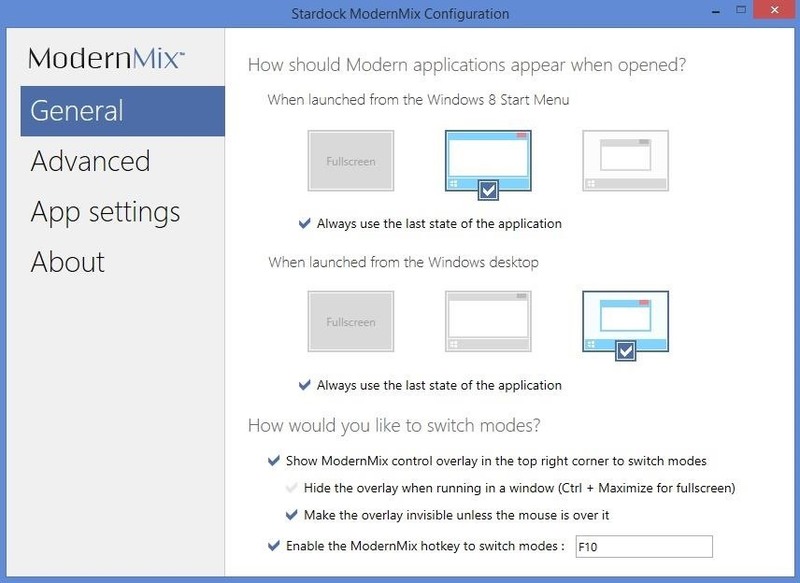 When installation finishes, you'll be taken directly to the ModernMix setup screen. Choose how you would like Metro/Modern apps to start—either full screen like normal, full-screen window mode, or regular window mode. Further options allow you to toggle a control overlay on windowed Metro apps, and the F10 key will always toggle between Metro and windowed mode. After the 30-day trial period, you can decide whether you like this feature enough to pay the 5 bucks that the full version costs. For further mouse-and-keyboard optimization, try out Nelson's Classic Start Menu guide.